This pathway is an excellent opportunity to explore your creative aptitude and ambition within the fashion and textile area. You will learn the unique characteristics and skills, which are fundamental to entering this industry. The course also develops your independence, as you complete projects from conception through to realisation, preparing you for the Applied General Extended Diploma in Fashion and Textiles year 2. You will also be experimenting with a broad range of materials, techniques and processes to enable you to develop your ideas with skill and competence. The College is an accredited centre of excellence working in partnership with the University of the Arts London (UAL); Europe’s largest specialist art and design awarding body, giving you the best possible platform from which to progress and succeed. 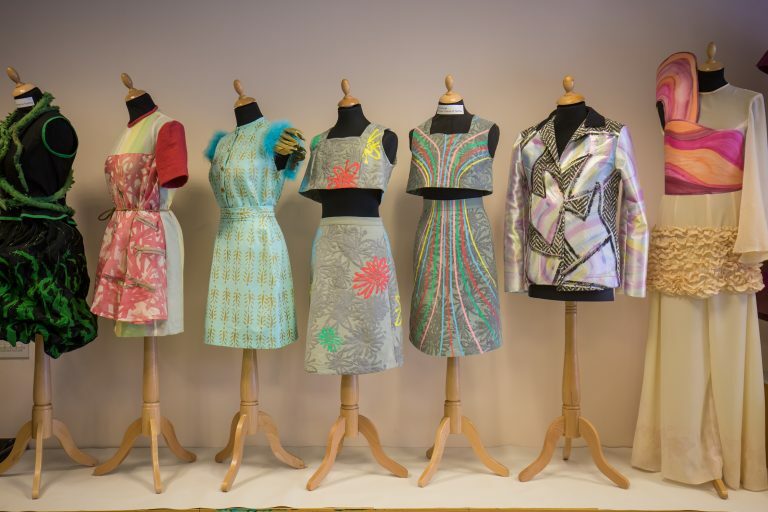 The emphasis of a Fashion and Textiles qualification at the College is on developing creative thinking and innovative approaches to problem solving. This is the Fashion and Textiles pathway of the overarching Art and Design Level 3 Applied General Extended Diploma.